Earn $16.49 in VIP credit (1649 points)What's This? 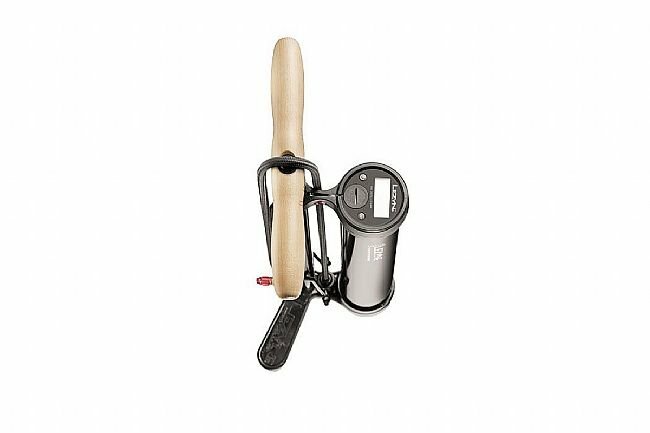 The Digital Pressure Over Drive with ABS1 Pro from Lezyne is a high volume floor pump capable of seating tubeless setups thanks to Lezyne’s integrated tubeless power system. Pumping the stainless steel foot-lever discharges a strong continuous blast of compressed air. The ABS1 Pro chuck works with Presta and Schrader valves. A custom digital gauge provides accurate pressure measurement. 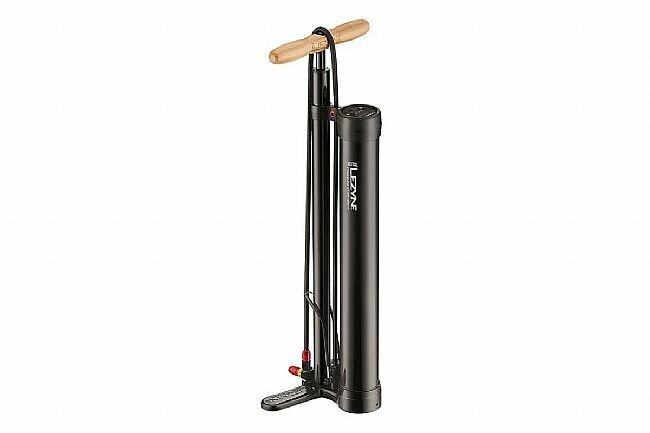 For long lasting durability, this pump is constructed of aluminum and steel with a wood handle for a touch of class. Presta and Schrader compatible ABS1 Pro chuck. Extra long, nylon-reinforced braided hose. Secondary chamber can be manually pressurized. Max Pressure: 220 psi (15 bar). Great Pump, should have purchased it a long time ago. I set up tubeless cyclocross tires on new wheels with this pump, and it was a pleasant, easy, fun, and clean experience. The reservoir (tubless power system) makes setting the tire simple. The chuck is really nice. apart from the quality look and feel, I like that it snuggly screws on the valve. The hose is also longer than a standard pump, which I like for when the bike is in the stand. The digital pressure gauge is a nice addition as well. If you change tubeless tires at home, this is a great tool to have. What I like it's sturdy. The air inflates into the tire almost silently when in standard pump mode which almost made me believe it wasn't working, but it was. The digital readout is clear and accurate. The hose is long and it has plenty of distance so you're not crammed up against the wheel. I pump the chamber up to 120 lbs and it delivers 60psi in a whoosh into my 700-25m tires. This is flawless performance. I had no trouble at all operating the lever to release the compression chamber. No complaints. What I don't like it's big, I mean big for a pump. Probably all these tubeless tire inflators are, I don't know. And it's expensive. But all in all, if it works every time, which this promises to do, it's a sound investment. I have other Lezyine products which work flawlessly, which is why I went with this one over a Topeak or the equivalent.